Patty Duke, who won a best supporting performer Oscar for her execution as Helen Keller in The Miracle Worker and featured as two cousins all alone sitcom, passed on Tuesday, The Hollywood Reporter has affirmed. She was 69. "At the beginning of today, our darling wife, mother, female authority and the choice craftsman, compassionate and champion of psychological well-being, Anna Patty Duke, shut her eyes, calmed her torment and climbed to an excellent spot," read a family explanation. "We praise the endless adoration and sympathy she shared through her work and for the duration of her life." Her spouse, Michael Pearce, told The New York Times that she kicked the bucket at a doctor's facility close to her home in Coeur d'Alene, Idaho, from confusions of a cracked digestive tract that she had endured Thursday. Duke got her Oscar in 1963 at age 16, then the most youthful ever to win in a focused classification. She additionally gathered three Emmy Awards among 10 designations amid her vocation. Likewise at 16, Duke turned into the most youthful around then to have a TV arrangement bearing her name. The Patty Duke Show kept running for three seasons on ABC, and she was selected for an Emmy in 1964. The arrangement depended on a Sidney Sheldon pilot around two indistinguishable looking cousins, one American (Patty Lane) and one English (Cathy Lane). Duke played both parts: the peppy one and the studious one. William Schallert (whose character had an indistinguishable twin to make the entire plot work) and Jean Byron were the leaders of the Brooklyn Heights family unit. As the signature tune said, the children were "one sets of coordinating bookends, diverse as night and day." Duke's movie profession was sporadic, cresting with her first significant creation, The Miracle Worker (1962), and achieving the most consideration with Valley of the Dolls (1967) where, countering her squeaky-clean picture, she played a pill-popping alcoholic. Her different movies included Happy Anniversary (1959), By Design (1981), Willy/Milly (1986), The Hitch-Hikers (1989), Prelude to a Kiss (1992), Bigger Than the Sky (2005) and Amazing Love (2012), showing up inverse her child, Sean Astin of Lord of the Rings and Rudy acclaim. 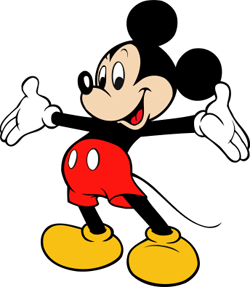 Notwithstanding her spouse and Sean, survivors incorporate another child, Mackenzie Astin (Andy on the 1980s sitcom The Facts of Life and a show writer on Scandal). Duke was hitched from 1972 to 1985 to Addams Family star John Astin. He embraced Sean, and he and Patty had Mackenzie together. Anna Marie Duke was conceived Dec. 14, 1946, and brought up in Elmhurst, N.Y. She showed up in 1955 in a scene of The Brighter Day and assumed the title part in the film The Goddess (1958) as a more youthful variant of Kim Stanley's character. Her chief, John Ross, prepared her for the Broadway form of The Miracle Worker, which depended on Keller's 1903 personal history The Story of My Life. Duke seriously prepared her to do things without sight and honed with a blindfold for about a year. The regimen paid off: She was tapped by maker Fred Coe to play Keller, featuring inverse Anne Bancroft as instructor Annie Sullivan, in the creation coordinated by Arthur Penn that opened in October 1959. Duke won commendation from pundits for her execution as the hard of hearing visually impaired quiet young lady. At 13, her name was raised over the title of the play, accepted to be the first to be done so at such an early age, and she won the Theater World Award for most encouraging newcomer. She featured in another Broadway play, 1962's Isle of Children, where she played a withering young lady. It was not a win, and Duke segued to the United Artists rendition of The Miracle Worker, with Penn and Bancroft likewise making the move to the extra large screen. Bancroft won the Oscar for best performing artist. After she acknowledged her Oscar from moderator George Chakiris, her acknowledgment discourse comprised of two words: "Bless your heart." 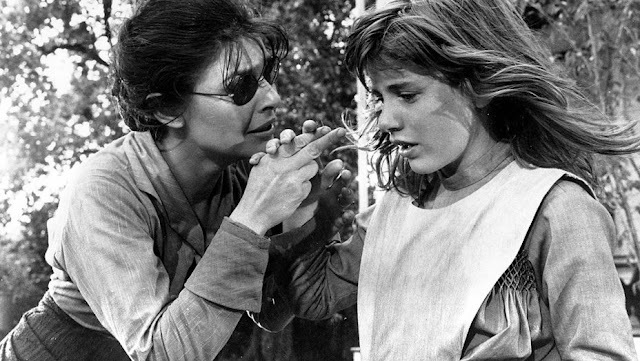 In 1980, she won an Emmy for playing Sullivan (Melissa Gilbert depicted Keller) in a NBC adjustment of The Miracle Worker. In 1985, Duke featured as the principal female president of the U.S in the fleeting Susan Harris sitcom Hail to the Chief and started a three-year spell as president of the Screen Actors Guild. She likewise played a medication discombobulated mother who turned into a pastor in the 1995 arrangement Amazing Grace. Duke penned an enthusiastic 1989 life account, Call Me Anna, in which she uncovered that she had languished over years with hyper sadness, tilting between compelling rapture and incapacitating despondency and inclined to dreams, alarm assaults and contemplations of suicide. She adjusted it the next year for an ABC telefilm that she likewise delivered and featured in.